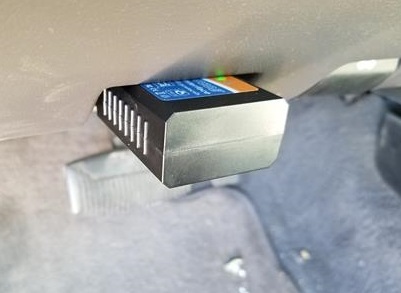 OBDII WiFi adapters for cars and trucks that send information to a smartphone have become very popular. They are low-cost units that can do anything a standalone OBDII unit can do at a much lower cost. They are also simple to use with many Apps available for both Android and Apple smartphones. 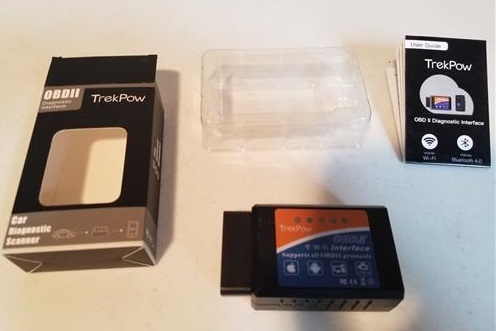 The Globmall Trekpow is one such unit that connects to a phone over WiFi for communication. 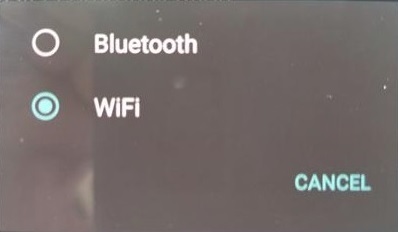 There is also a Bluetooth unit that simply communicates over Bluetooth instead of WiFi. This makes it compatible with both Android and IOS devices since it shows up in the WiFi settings of a phone. 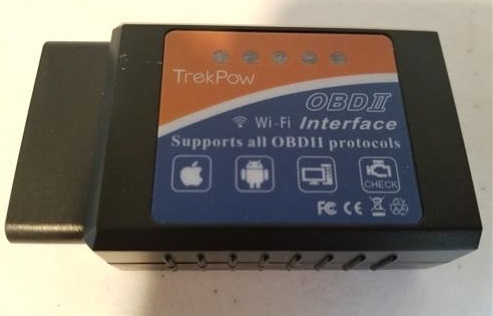 The Globmall Trekpow WiFi OBD2 unit was sent to me to review which I did with my honest opinion below. There is not much to the package with the adapter and user guide. 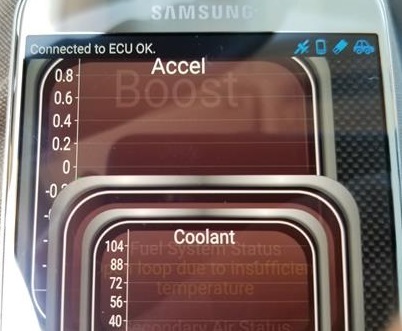 Like many OBD2 dongles it uses the popular Torque App installed onto a smartphone. There is also many other Apps with Torque simply being the most widely used. 1) The first thing to do is download the Torque App from the Google Play store. I used an Android smartphone to test the unit but Apple phones can also be used with the OBD Auto doctor App, or OBD Fusion App. There are two version of the Torque App with both a free and Paid versions. Use the free version called Torque Lite first since it can read and clear codes and is free to use. 2) Next plug the OBDII WiFi adapter into a vehicles OBDII port and turn the key on. Most all OBDII ports are located under the driver side dashboard. If you cant find your OBD port do a Google search to locate it. All cars and trucks built after 1996 have an OBDII port that can be used to troubleshoot a problem. 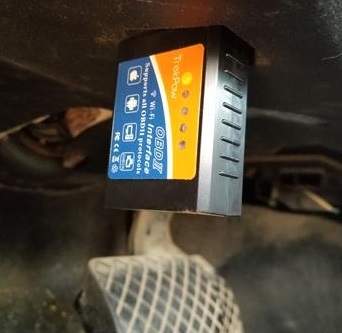 Some manufactures have add to the basic OBDII protocols to give more detailed information, but all 1996 and newer cars and trucks will have the basic OBD2 protocols built-in. For example VW added what is called Vag-Com which added more detailed coded that are VW specific but still have the basic OBDII codes for troubleshooting. 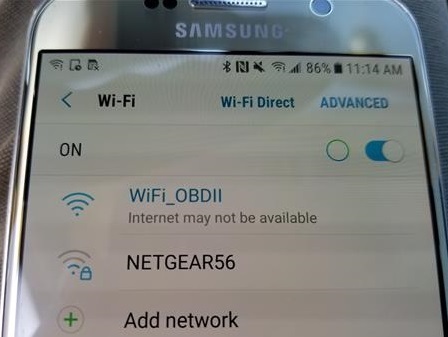 4) After connecting to the smartphone via WiFi open the App. Sometimes the App will need to be setup for WiFi and may be on Bluetooth. This happened to me with the Torque App. To change this with Torque click the Settings Icon at the bottom left and go to Settings–>OBD2 Adapter Settings–>Connection and choose WiFi. If you have problems read here for a step by step setup. 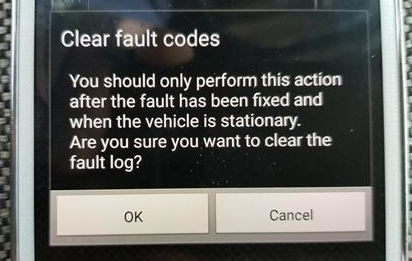 5) Once the App and smartphone are communicating it will be ready to read and clear engine codes. 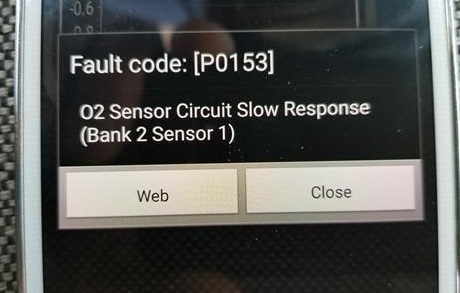 For example here the code P0153 came up on a friends Ford Ranger. A simple google search will show it is the driver side oxygen sensor. Clearing the code can also be done. Of course if the problem is not fixed the light will likley come back on. The WiFi Diagnostic scan tool is a very good budget unit that I plan to get much more use from. There is much more information the Apps can give bedsides simply reading and clearing codes, such as showing oil pressure, temperature and much more. So far the unit has been working very well for me. Of course be sure to read other reviews to be sure it is a good unit for you.